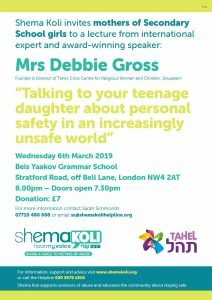 The talk will be held on Wednesday 6th March 2019, at Beis Yaakov Grammar School in Hendon. Doors open from 7.30pm. Further details are in the flyer below.